Red tide is a common name for algae bloom in coastal areas. 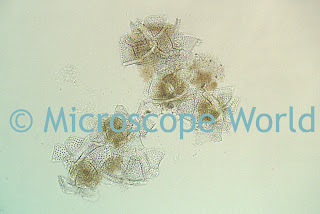 The algae are known as phytoplankton. When the phytoplankton are found in large quantities during the day the water will appear murky or brown. 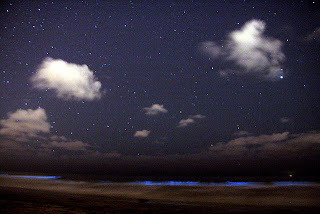 At night, when the water is disturbed (such as with the crashing of a wave), the red tide fluoresces and creates a bright blue light within the wave. Image courtesy of Mike in Carlsbad, CA. You can view another red tide image here. Since there is currently a red tide in Carlsbad, Microscope World gathered some ocean water and put it under the microscope to see what the phytoplankton looked like. 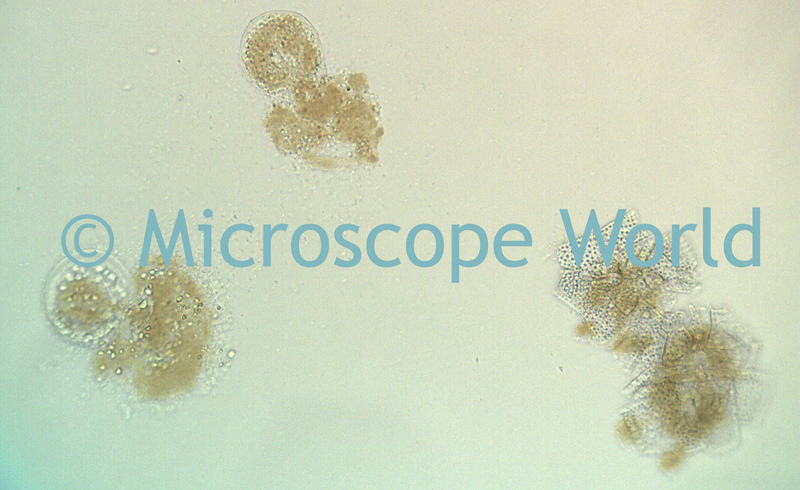 All images were captured using the National Optical DC5-163 digital microscope at 400x magnification. 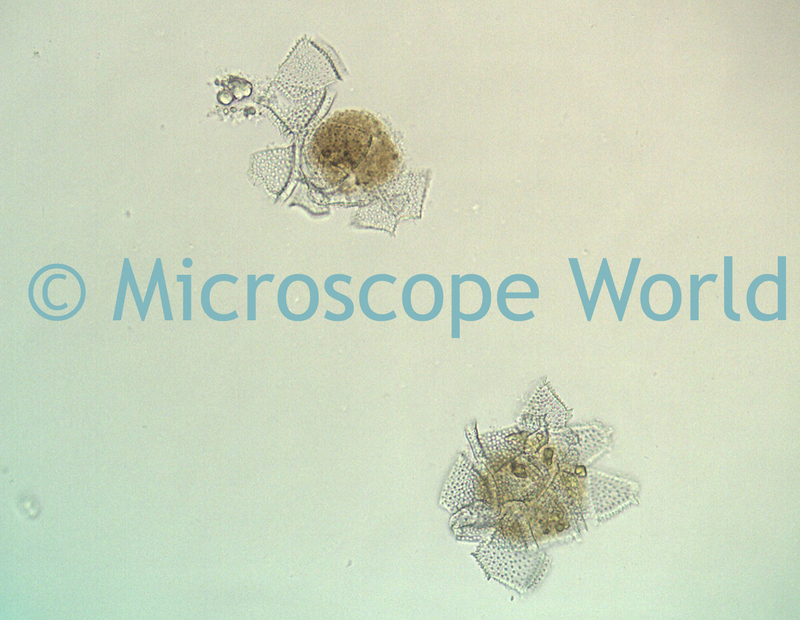 Although phytoplankton are too small to see with the naked eye, when grouped in large numbers they can make water appear green or discolored due to the chlorophyll in their cells.